Hotel Lazzari i Rom, Italien: Reservér nu! Our English speaking staff is available to be help with information in order to satisfy your questions and needs. 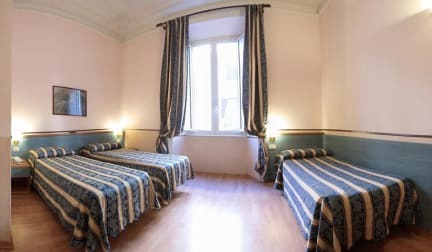 Hotel Lazzari has an excellent location in center of Rome at five minutes by walk from the central Termini train station, it’s well connected by all forms of transportation (bus, train, subway and tram). 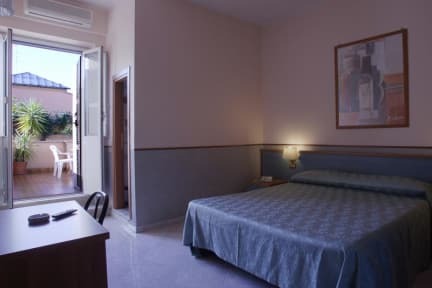 Hotel Lazzari has single, double, twin, triple and quadruple rooms. All bedrooms have a private bathroom, air condition for the summer period, safety box, LCD TV.